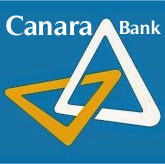 Canara Bank has published a Advertisement for below mentioned Posts 2015. Check below for more details. Age Limit: Candidates age limit should be not exceeding 35 years for S.No-1, 32 years for S.No-2, 30 years for S.No-3, 27 years for S.No-4 as on 30-09-2015. Educational Qualification: Candidates should possess Chartered Accountant for S.No-1, B.E/ B.Tech/ MBA (finance)/ CA/ ICWA/ CFA for S.No-2 to 4 and have Computer Proficiency with relevant experience. Application Fee: Candidates should have to pay Rs. 500/- through Demand Draft drawn in favour of “Canbank Venture Capital Fund Ltd” payable at Bangalore. How to Apply: Eligible candidates can send their application in prescribed format along with attested true copies of all relevant certificates & Demand Draft addressed to Canbank Venture Capital Fund Ltd, Bangalore – 560001 on or before 28-12-2015.